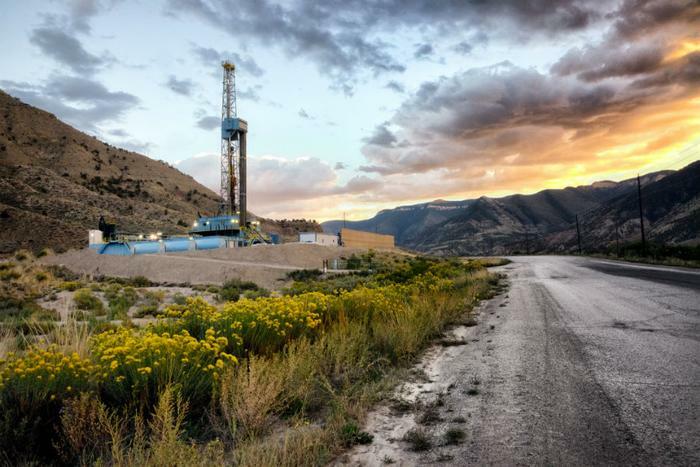 Thanks to aggressive domestic natural gas drilling that began in the early 2000s, an estimated 17 million Americans now live near hydraulic fracturing operations. The “unconventional,” high-pressure, horizontal drilling technique known as hydraulic fracturing, or fracking, has been a boon to the energy industry, creating a domestic source of natural gas and supposedly easing America’s dependence on foreign oil. But some people living in the shadow of this relatively new and experimental industrial activity have questioned the health costs that come with it. Yet another study has a dim answer to that question. Female mice exposed to a mixture of the potent chemicals commonly used in fracking may be prone to breast cancer, according to a new paper published in the Endocrinology journal. Mice exposed to a combination of 23 fracking chemicals developed lesions in their mammary glands, the researchers found, suggesting that breast tissue is sensitive to the chemical cocktail that drillers typically use to blast through shale. "Even at low doses we're seeing lesions in the mammary gland," senior author Laura Vandenberg, a researcher and assistant professor at the University of Massachusetts–Amherst School of Public Health & Health Sciences, told the site Environmental Health News. Industry-supported research has claimed that fracking chemicals don’t release into the air or groundwater, but independent research has repeatedly suggested otherwise. Flower Mound, a suburb of Dallas, Texas, is one of many towns across the country that became a popular source of fracking. The town sits atop the Barnett Shale, a formation that had been particularly profitable to oil and gas interests since drilling began in 2004. At one point, the suburb had an estimated 12,000 gas wells in operation. In 2010, residents of Flower Mound voiced concerns that breast cancer cases seemed unusually common in the suburb. The Texas Department of State Health Services agreed to investigate and concluded in 2011 that breast cancer rates were elevated. However, state regulators claimed there was no reason for concern and attributed the elevated rates to population growth. In 2014, a law professor at the University of Texas in Austin analyzed the state's data and concluded that state officials downplayed a potential breast cancer cluster in the city. “We really don’t have enough information to dismiss people’s concerns,” researcher Rachel Rawlins said at the time. State regulators agreed to continue monitoring cancer cases in the area due to “the level of concern in the community” but remained adamantly pro-fracking. Previous research has also linked fracking to heart and neurological conditions. While fracking has enjoyed support from federal and state lawmakers in recent years, the natural gas industry is seeing a backlash from many towns and states. One company hoping to frack in a town in Illinois recently returned its permit, citing “burdensome” regulations after local residents protested the plans. Florida’s state senate is currently considering a bipartisan bill that would ban fracking in the sunshine state.